On the day it came to light that there were “accounting irregularities” (sounds like a nice phrase for fraudulently cooking the books) at Steinhoff, Markus Jooste offered his resignation as CEO of the company. Then he disappeared. 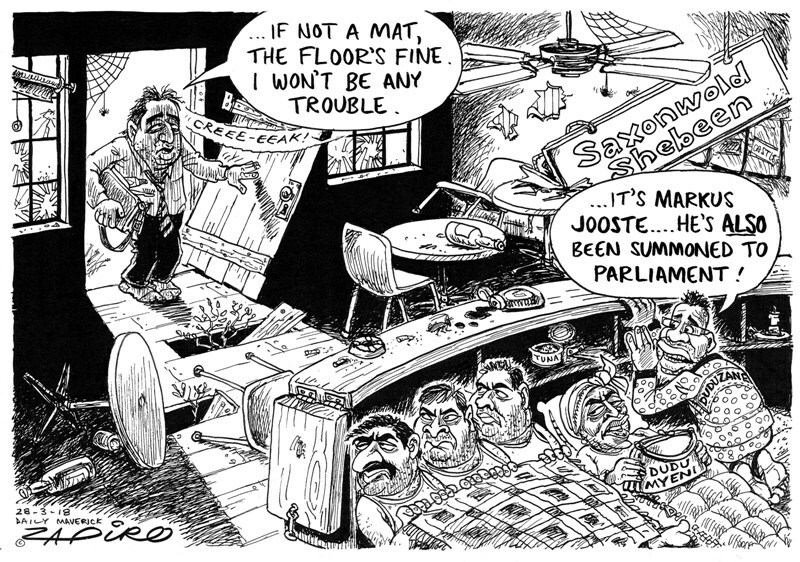 Since then, Afrikaans media outlets have regularly carried stories essentially asking: “Where is Markus Jooste hiding?”. A typical example of this appears in Die Huisgenoot of 8 January 2018. A sensational headline in the usual Huisgenoot style poses the same question from a new angle: “Kruip boerebiljoenêr Markus Jooste in Hermanus weg?” (“Is boer billionaire Markus Jooste hiding in Hermanus?”) The article quotes a neighbour who informed the magazine that the words “thief” and also “con-artist” were painted on the wall of Jooste’s Hermanus holiday home, that cars were seen at the house over the December holiday period, but that Jooste did not make an appearance. Thing is, this is an empty threat as he can be legally forced to testify. It would be difficult for anyone (whether a politician or a private individual) legally to avoid testifying before a standing committee of the NA if summoned to do so. It might be that the power of the NA to force individual to testify is limited to matters relating to the work of the NA. If this is true, the NA might not have the power to force anyone to come and testify about, say, why he or she does not attend church or what he or she had for breakfast, as such issues would be beyond the scope of the powers conferred on the NA. But the NA also has the power to maintain oversight of the exercise of national executive authority, including the implementation of legislation; and any organ of state. In the case of Jooste, the NA standing committee on Finance therefore has the power to maintain oversight over the implementation of legislation that applies to Steinhoff and it is in this capacity that it has every right to call Jooste to testify. So, Jooste would not be successful in resisting a subpoena on the basis that he might incriminate himself before the committee. However, he might be happy to hear that section 16(3) of the Act states that the evidence given under oath or affirmation “may not be used against that person in any court or place outside Parliament, except in criminal proceedings where the person concerned stands trial on a charge of perjury or other charges relating to the testimony before Parliament. The NA standing committee on Finance has now decided to subpoena Jooste. This means that unless he flees the country he will be compelled to testify before the committee. 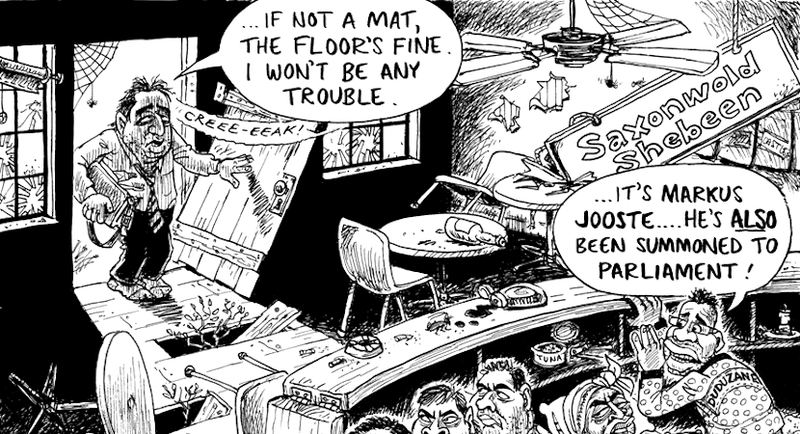 Given the incompetent manner in which the Hawks have dealt with some other recent investigations (the Pravin Gordhan fiasco comes to mind), it is unclear whether the Hawks have the skill and political will to go after Jooste. If there is no proper investigation, Jooste (who has become a poster boy for the evils associated with “White Monopoly Capital”) would then become the beneficiary of the capture of the Hawks by those who used the idea White Monopoly Capital to cover up their own looting of the state. 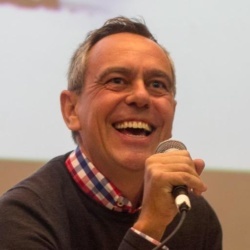 Pierre de Vos teaches Constitutional law at the University of Cape Town Law Faculty, where he serves as deputy dean and as the Claude Leon Foundation Chair in Constitutional Governance. He writes a regular blog, entitled ‘Constitutionally Speaking’, in which he attempts to mix one part righteous anger, one part cold legal reasoning and one part irreverence to help keep South Africans informed about Constitutional and other legal developments related to the democracy.